The beautiful church that overlooks Shimla’s central square is the second largest church in North India. The largest is, St. John's Church in Meerut. Five stained glass windows represent five different Christian values such as Faith and Charity. The Church was built in neo-Gothic style in 1857. It looks very beautiful in night because of the strategically placed lights, its grand to look at. 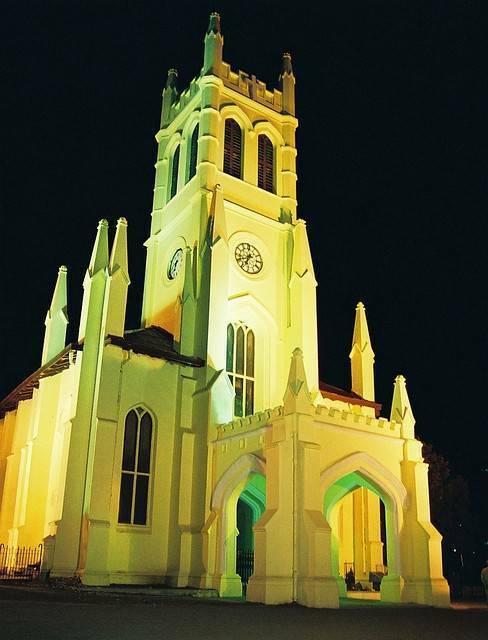 This Church has endured through time and is still is active, one of such legacies of the British Raj. Timings: Monday to Saturday, between 10:30am to 5:30pm for visitors.